It all started with one photograph one year ago. I was only twenty years old, fresh out of the college dorm rooms and renting a house with a landlord who allowed dogs. I had been browsing a lot of dog pages on Facebook lately because I missed having one but was too indecisive as to which I would choose. Suddenly one photo caught my eye. 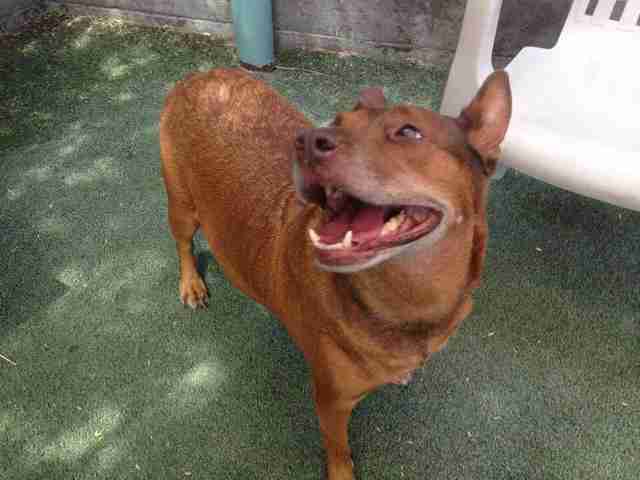 It was of a red dog with just the biggest smile on her face and her stomach was extended. The description said "foster desperately needed for this seven year old shep mix and her unborn pups." She had been owner surrended. After seven years the family had decided they just couldn't keep up with taking care of her and "all the puppies she keeps having." The fate of her unbornpups would be uncertain if a foster did not step up. I later learned that the dog would have been spay aborted. I'm still not sure what pushed me to do it, I just remember looking at that happy little girl and wanting to meet her and help her. It was an on the spot decision; I had absolutely no clue what I was getting myself into but I contacted In the Arms of Angels and one day later the rescue head had dropped Coco off at my house. I was supposed to be creating a calm and easy environment for her to give birth in....but it being my first ever experience with birth I was freaking out. I probably contacted Karen (another foster who volunteered to be my mentor) two times a day the weeks leading up to the big day which, in hindsight, is probably why Coco chose to wait until I worked late to deliver. By the time I got home seven babies were spread out around mommy and she was bracing for the last one. I loved those puppies with all my heart and raised them as best I could. At this point I wasn't just bothering Karen for advice but anyone in the rescue, I was so nervous. Coco was an amazing, seasoned mother. They grew up quickly and during the calm moments I would reflect and couldn't imagine them not in the world. They were my babies, my first babies and I will never forget them. Eventually the time came to give them up, and I really didn't know how I'd do it. I warned everyone I'd be balling my eyes out, but I never did. I remember sitting at the adoption event, in a corner hoping nobody would notice or try to talk to me. Suddenly a woman and two children came up to the puppy pens and they walked over to where my puppies were. "I think that one is Moose right there, do you see him? There's our puppy" she said. This family had never met him before, only read about him online and yet to them he was already "theirs." The minute I picked him up and put him in her arms I saw her eyes light up and the delight in her voice as she spoke kind words to him. That's when I knew I was hooked. As much as I loved all my puppies nothing could be better than seeing someone else fall in love, and seeing just how happy they made a person or family. Sure fostering has its ups and downs. 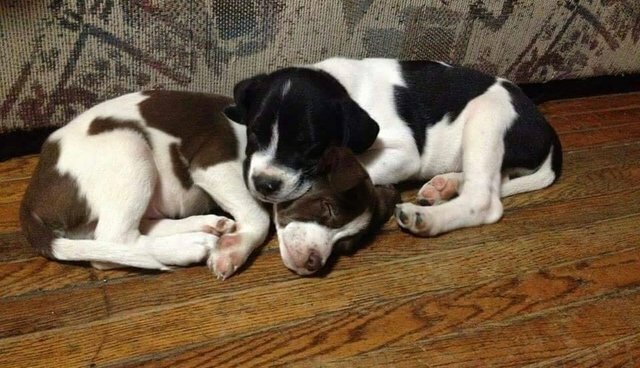 I cried just as much when I lost two puppies at two weeks as I did when I lost one at nine weeks. You can't save them all, but the ones you do save...it makes it all worth it. Here I am one year later. Despite me complaining how hard it is, despite all the rough times I continue to foster because I love it and I made the best decision ever. I've fostered over 30 dogs and puppies in the past year. When someone hears I foster they think I'm some great humanitarian. They praise me on how amazing I am, like I sacrifice so much for them but in reality I do it for me. I do it for selfish reasons, because fostering fills some void in myself. The animals help me just as much as I help them. If anyone is considering fostering I would just like to say give it a shot. It's not for everyone, but you'll never know until you try.